Go to Settings > Advanced. At the bottom of the page, select the redirection option you prefer. Enter your password and check the “I’m not a robot” box. Click “Permanently delete the RSS feed” to make your final decision. The permanent redirection option, as the name suggests, lasts forever. 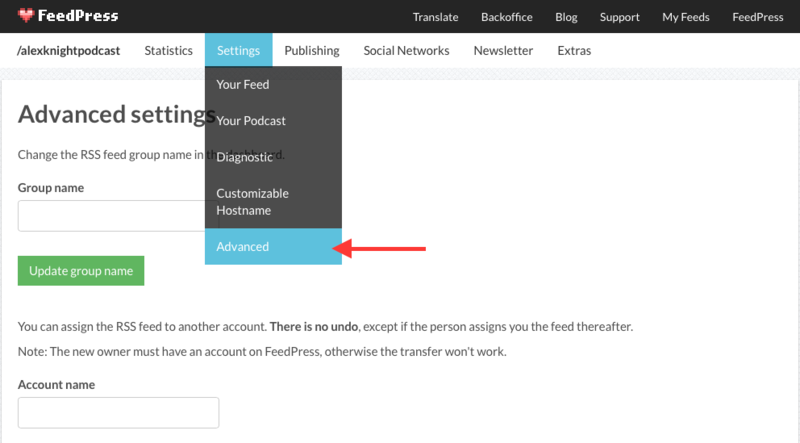 This means you won’t lose the subscriber data to your feed if you move away from FeedPress. Of course, why the heck would you ever want to do that?